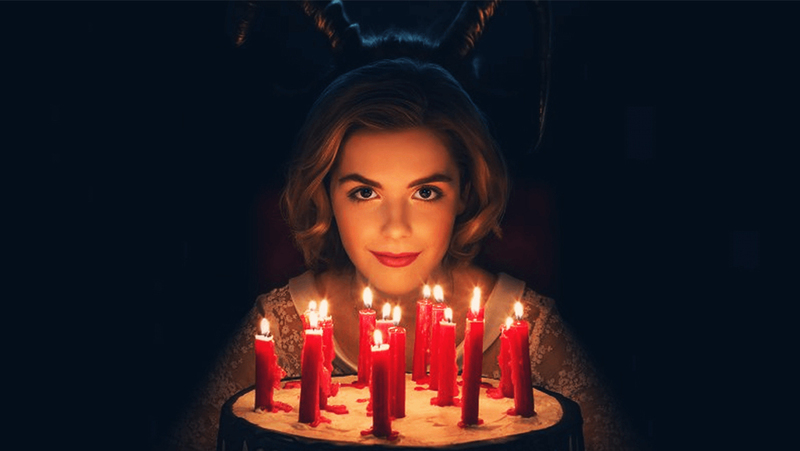 With the release of Netflix’s new show, The Chilling Adventures of Sabrina, I cannot help but wonder why contemporary Western society is so fascinated by on-screen witchcraft. Five years ago we were taken in by American Horror Story: Coven; three years ago it was Robert Eggers’ period horror The Witch; and today we cannot ignore the global phenomenon Game of Thrones and its dark-magic-wielding character Melisandre. Perhaps our fascination stems from the fact that on-screen witchcraft seems to go hand-in-hand with female empowerment. We will watch a shiny Hollywood portrayal of women with dark magic who, despite being shunned by their communities or facing sexism in their coven, will embrace their ‘witchiness’ and ultimately see it as an extension of their own mental and physical strength. While we praise the feminism of these shows, however, we are ignoring a bigger issue: the historical witch-hunts that Europe and North America see as a thing of the past are still a very contemporary and very horrific reality in other global communities. Modern media loves to glamorise witchcraft and sell it as something quirky yet cool. We admire Stevie Nicks for her ‘witchy’ style and for writing songs with supernatural associations. I myself am named after the very song, ‘Rhiannon’, which led to Nicks being accused of witchcraft in the late 1970s. In a 2014 interview with the LA Times Nicks ridiculed that ‘witch-hunt’ period and claimed: ‘I just wear black because it makes me look thinner you idiots’. We laugh off such accusations and continue to be mesmerised by the spellbinding female characters that proliferate our film and TV choices. Don’t get me wrong, I love Sabrina and I’ll be the first to say that I love Stevie Nicks. What I am criticising is the overall culture of glamorising witchcraft in Western media when it is still a prevalent international concern. What happens to those who, unlike Stevie Nicks who could laugh off the situation, are suspected of witchcraft in societies where such an accusation carries severe consequences? In our desire for more and more witchcraft media we forget that people are suffering, being shunned by their communities, and are being killed today due to a pervasive belief in witchcraft. Men and women in Saudi Arabia have been publicly executed this decade after being accused of sorcery, including a man named Muri’ al-‘Asiri who was beheaded in 2013. In London, Victoria Climbié, an eight-year-old girl from Côte d’Ivoire, was tortured and then murdered by her guardians in 2000. Victoria’s great-aunt had taken her to see a pastor at a local church who believed Victoria was possessed by spirits and he prayed that she be delivered from witchcraft and evil. In Tanzania, thousands of women have been tortured and murdered in just the last two decades in so called ‘mob justice’ killings following accusations of witchcraft. Harrowingly, these are but a few examples. A quick Google search for ‘modern day witchcraft murders’ will reveal pages and pages of disturbing articles with similar stories. Witchcraft accusations are, and historically have been, predominantly linked to the wider concern of violence against women. It is not that Western society does not care about such violence; of course it is horrific and should be condemned. The problem is that, as witch-hunts today are significantly less prevalent in Europe and North America than in other continents, Western society does not associate the media portrayals of witches, like Sabrina Spellman, with real-world contemporary suffering. However, for many communities across the Indian subcontinent, Sub-Saharan Africa, and South-East Asia, amongst other regions, accusations of witchcraft and sorcery continue to endanger lives, predominantly women’s lives. When white people in Western society interpret the witches that we see on-screen as feminist icons, we are only able to do so as we are coming from a position of privilege: privilege of living in a society where being accused of sorcery is not a daily fear. We do not live in communities where women are thrown out of their homes, attacked, and killed on a daily basis due to accusations of witchcraft. Just because we do not experience these atrocities first-hand should not make them any less important to us. If feminism advocates for the rights and equality of all women then we must consider the plight of women beyond our own societies when thinking just how empowered shows like Sabrina make us feel. What can be done, then, to change the way witchcraft is portrayed on our screens? I’m not calling for a boycott of all witch-related shows. Instead we need wider representation of international perspectives of witchcraft in mainstream media. In 2018, Zambian-Welsh director Rungano Nyoni received the BAFTA award of Outstanding Debut by a British Writer, Director or Producer for her film I Am Not a Witch. The film portrays a uniquely Zambian attitude towards witches and follows a young girl who is forced to leave her village and live at a witches’ camp. This recognition, at the UK’s most prestigious film award ceremony, was a welcome step in the right direction towards a diversification of the Western canon. It is time to look beyond our fascination of black-wearing, spell-reciting, white witches. Producers, directors, whomever it may concern, must use the momentum that witch-related media is gaining to represent global perspectives of witchcraft. In doing so, they can inform us that witch-hunts are not a thing of the past and raise awareness of the suffering that women continue to face daily because of them. Previous US Mid-term Elections – A Shake Up of the Status-Quo?